Senior Infant Adventures in Learning: Literacy Centers in Senior Infants! Literacy Centers in Senior Infants! 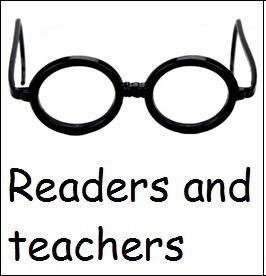 Working in pairs, one child, the ‘teacher’ pointed to words in the room (environmental print, words on posters, labels etc) and their partner the ‘reader’ (wearing cardboard glasses) read the words for them. 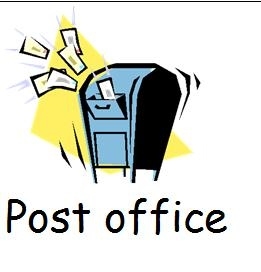 We write letters, cards, shopping lists and notes to our friends and to teacher on different kinds of paper and post them in the post box in the classroom. I have included some word charts to aid their writing (feelings, sports and activities, food, days of the week, months of the year etc). 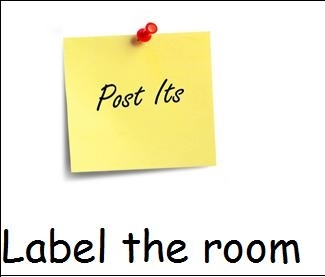 We label things in the room using post-it notes. They either use invented spelling, words they know already or copy signs from the environment when writing these labels. 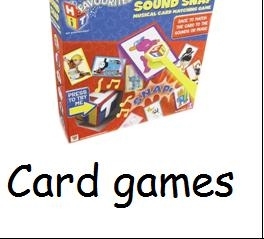 Where one person plays cvc spelling games, another matches sounds to pictures, another matches upper and lower case letters together and another matches words to the appropriate picture. 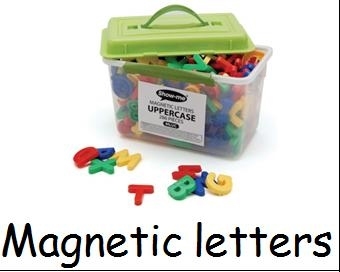 We pick words from the box to spell on the whiteboard using magnetic letters. I have never used literacy centers before but I have to say I absolutely love it ... despite having to clean up all the post-its at the end of the day! I may change some of these centers when everyone has had a couple of goes at each center, but that won't be for a while yet! I'm also going to give maths centers a try sometime soon, but will get back to you on that one! Happy teaching!